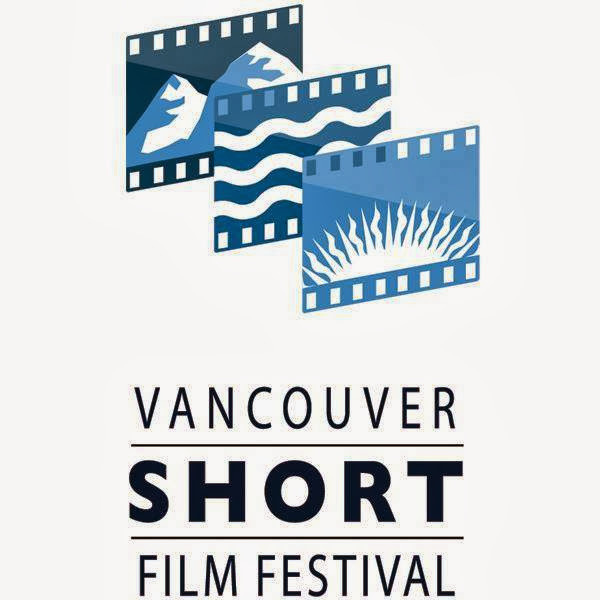 So I have been given the honor to screen some of the short films prior to them being screened in a weeks time at Vancity Theatre in Vancouver. I have been able to view the films via secure links to each of the films. 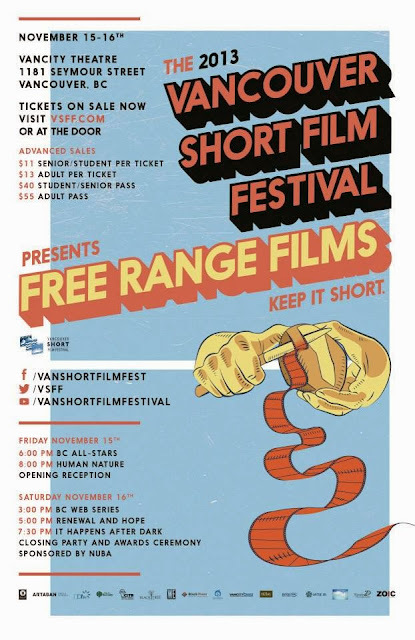 I will have some short reviews of the first night of the festival, there are some that will have * before the title that means I was unable to view prior to this article as there were not links available for them. is a glimpse into the lives of others that can be hilarious, heartbreaking, uplifting or thought provoking. Written and narrated by Toronto poet Travis Blackman, Patriarchy Combines live-action - vérité footage and animation. Directed by Karen Chapman, this experimental spoken word piece uses the ideals and structures of patriarchy to turn the fathered social system on it's head, using an air filled vignette-style. I found this film interesting for the fact of the great spoken word and the dynamics in which it used and explored. In the middle of the night a hungry little girl meets death in the form of an elegant woman who plays with her and invites her to celebrate the Day of the Dead with breads and sweets. A former weather girl, struggling with her current role as full-time caregiver for her incapacitated father, decides to take creative advantage of two evangelists who show up at her father’s door. “Set Apart” is a documentary about monasticism, a portrait of four men who have made the radical choice to join a Benedictine monastery in Mission, British Columbia. As they move through their daily life of prayer, work, and community life, the monks discuss their choice to join the monastic community, and both the challenges and unique fulfillment found in their chosen way of life. Rafting across a floodplain in the Canadian Rockies, a small-town teen must learn to let go of his childhood sweetheart when she reveals she's leaving for university. Based on the story by award winning author D.W. Wilson (BBC Short Story Award), Floodplain stars Cameron Bright and Sarah Desjardins. I fell in love with the scenery of this film and the editing is great and smooth, also the performances of the four actors in the film are fantastic, wanted this to be a longer film. Suburban cougars and B.F.F’s, Austin and Samantha, attempt to spice up their typical Friday night at the discount movie theatre with a little treat from Sam’s drug dealer brother. Austin turns to Samantha for help as her high becomes more than she can handle. Sam’s plan only magnifies Austin’s paranoia and humiliation when she is forced to try and run through the theatre’s adorable usher, Jamie. This was a nice performance piece where the young women are waiting for their film to start and the antics of the one-where her good friend starts to get paranoid are quite funny scenes. The Bouake Hustle' is a glimpse into everyday life as seen through the eyes of a local hustler in West Africa. The documentary is set in Bouake, a bustling West African city of over a million people. Bouake has no prisons, no police and no courts; it is a lawless anarchy that has been smashed by civil war and rent by grinding poverty. Paradoxically, the vast majority of people in Bouake are beautiful in the deepest way there is; they are kind, loving and generous with all that they have. This film is a testament to the true colors of Bouake's people, whom fate has put to the ultimate test. This film shows one that we do take alot for granted in this world and hardly stop to look at what we really have. The village of Bouake is vast with 1 million people , no police, no judges, scary thought but then even the toughest of people narrates us through this world of people even in the most desperate times can smile and dance their worries away. These are the films playing in that time slot and will have a review of some of the films on Saturdays time slots soon.